"Councillor Stan Bate once proved to me by geometric analysis that Albert Square is the topographic centre of Stoke-on-Trent. He'd worked out that Fenton Manor swimming pool is exactly six-and-a-quarter miles from the extremities of the north of the city, and five-and-three-quarters from the southern boundaries. "So," reasoned Stan, "simple adjustment means that Albert Square has got to be the city's physical midpoint." Albert Square is the planner's blueprint of the perfect urban layout. And if it really is the Potteries' centre it is down to one family. "The Bakers are the family that single-handedly built Fenton," claims historian Steve Birks. "Every building of note in the Lower Lane area was built or influenced by the Baker family through the acquisition of land." William Baker was an Audlem architect who bought Fenton estate in 1765 as a gift for his second son, also William Baker. The son married into the Bagnall family whose head, Thomas Bagnall, was Lord Of The Manor of Hanley. "Typically first sons were given their father's name and so in 1771 the third William arrived on the scene," continues Steve. "Matrimony yielded connections with Fenton manufacturers, the Bournes, and soon they traded together as Bourne And Baker. Their imposing pottery once stood on the north side of the turnpike from Longton to Stoke, a road that used to be High Street and is now City Road." "Ralph Bourne and his stepson William Baker III extended the township by building houses on the south side of High Street," says Steve. "By the late 1820s they had built more than 100 houses as well as the Roebuck Inn." 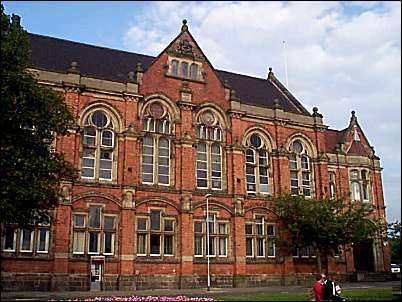 Writer Alan Myatt is convinced that Fenton was a central element to the creation of Stoke-on-Trent. "Thomas Whieldon's estate played an important part in developing Fenton," he says. "The first railway station in the district was built at Fenton in 1848. Manor Street station opened in June 1864 and closed in 1956." Incredible though it seems, the Bournes and Bakers had decided that Fenton should become more important than the other five towns. "In fact," says Steve Birks, "When Ralph Bourne died in 1835 he willed a generous £3,000 to build an Anglican church, topped-up by Baker's widow. The original church was demolished and replaced by the extraordinary Christ Church designed by Charles Lynam, from funds raised by the Baker family, and built in 1890 to seat almost 2,000." Lynam was the city's most influential architect in his time. "Many public buildings are among his work," says Steve. 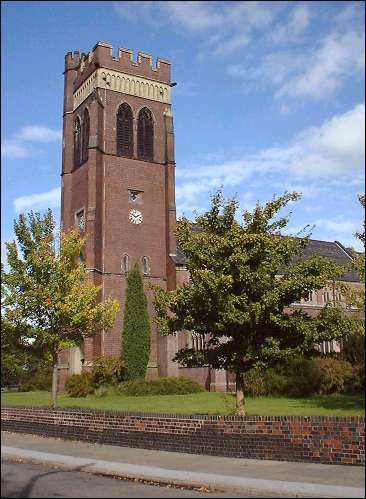 "Stoke's Free Library, baths and market complex, the Hartshill cemetery chapels, and part of The North Staffordshire Infirmary at Hartshill are examples of his designs. But according to the architectural scholar Pevsner, Lynam's magnum opus was Fenton's Christ Church. It seemed to impress everybody by its majestic size." There was a time when every seat in this simulated cathedral was occupied twice each Sunday. "I'm afraid those days have gone," says the Reverend David Cameron, vicar for the past 12 years. "Christ Church is certainly the centrepiece of Fenton. It reflects the power of those benefactors who built communities around iconic buildings. The Bakers were certainly benevolent despots. By that I mean there was a great deal of poverty in the district then, and the church was built to demonstrate power held by those with a position in the civic hierarchy. These days, 40 regular worshippers is a good attendance." There's no doubt Lynam was at his best when he built Christ Church, with its Norman-arched skeleton stone frame, and its nave and huge turreted tower. Inside, the ostentatious grandeur takes your breath away. It is amply embellished with stone-framed windows, carved arches with decorative capitals and gargoyles. An altar window depicting Christ's life is emphasised by a superb chancel screen. Two side chapels complement this arena, bedded on a floor of Minton tiles and rosewood blocks. Why, in a domain like this is church-going waning? "We work hard at being a part of Fenton's community," says David. "Every day we ring the bells to let people know we are praying for them." Meanwhile a young man darts in to sit in private prayer. A few minutes pass until he is interrupted by a woman. "Come on Chris," she urges, "They've called your name." A reminder that another outstanding Baker building sits next door in the contours of the Gothic town hall, used these days as the city's central magistrates court.